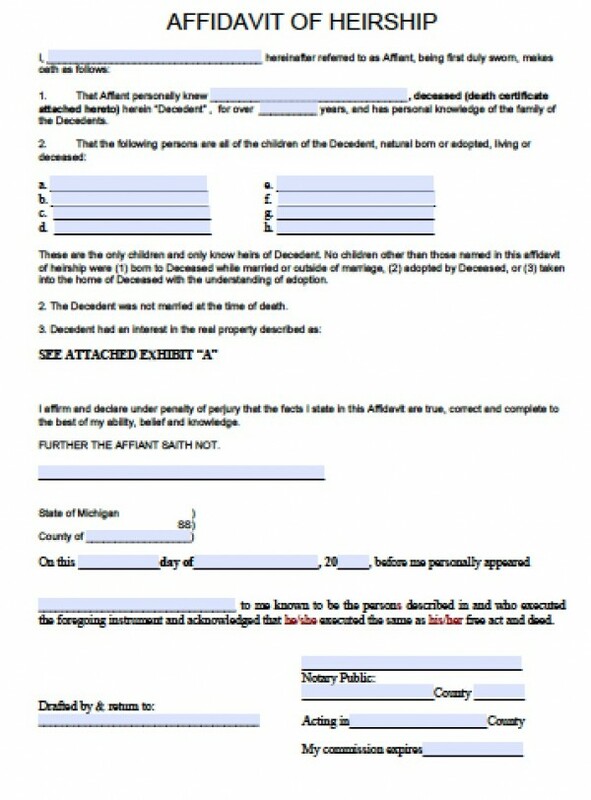 According to section 700.3982 of the Michigan Compiled Law, family members or other successors may file an affidavit of heirship to claim a decedent’s personal property in Michigan. This property includes finances like bank accounts and retirement accounts, as well as heirlooms and vehicles. 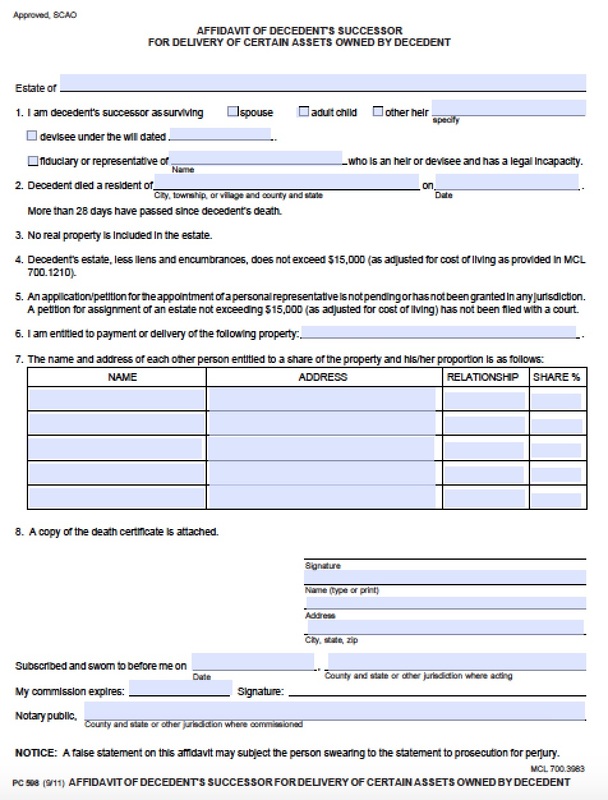 There is a 28-day waiting period after a loved one’s passing before successors may file the affidavit, and the personal property may not exceed $21,000 as of 2013.